(VOVWORLD) - A send-off ceremony was held in HCMC on Friday for Vietnam's handicapped athletes who will head to Indonesia’s Asian Para Games 2018. The Vietnamese handicapped athlete delegation to Indonesia’s Asian Para Games 2018. 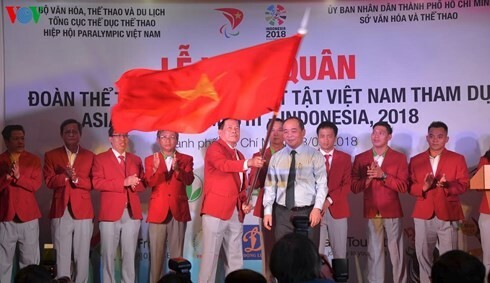 The 75-member delegation includes 52 competitors, 11 coaches and medical workers, led by Vu The Phiet, Vice President and General Secretary of the Vietnam Paralympic Association. 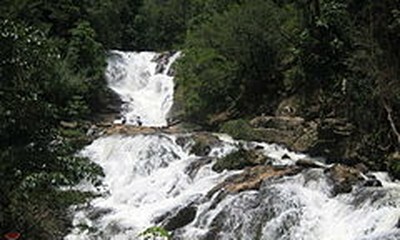 The Vietnamese athletes will compete in 7 of the total 18 sports - athletics, swimming, weight-lifting, table tennis, badminton, Judo, and chess. Indonesia’s Asian Para Games 2018 is a preparatory step for Vietnam’s participation in Paralympic Tokyo 2020.